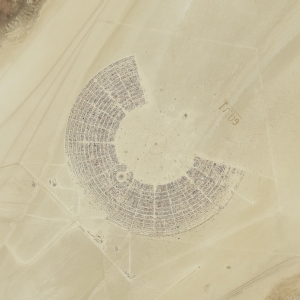 In 2010, I couldn’t wait to leave the playa to get relief from my stinging hands — though I also knew I’d be back for more. Now in 2011, idling in the queue to exit, I have a longing to stay. I felt comfortable here this week, and I’m afraid that I’m developing a strong sense of home for this place. Standing in the crowd after the Temple burn last night, I was trying to puzzle it out. To figure out in my head space why, among all the diverse cacophony, I felt as if I knew all of these people. Realizing my folly in venturing into head space, I’m content to sink back into heart space and simply smile. Smile in recognition of the unity that makes us one. Thank you for the card sent from Black Rock. It has been given a place of honor in our home. Previous Previous post: Thinking about what hurts and doesn’t hurt sales misses the point entirely. A corporation’s profits must never be at the center of policymaking, much less the center of determining what fundamental civil liberties we have as free citizens.